This darling pullover is just so cute for your little ones. 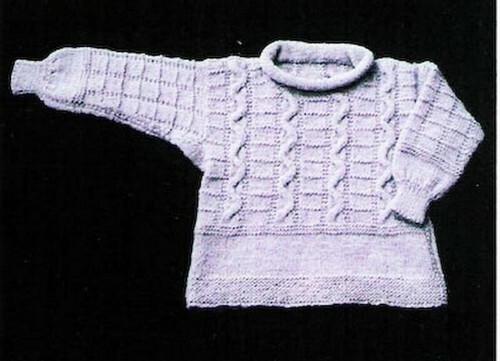 Featured techniques in this pattern are Knotted Cast On, Underarm Gussets, Knitted Bind-off. Three sizes with finished chest measurements of 22, 24, 26 inches.